Do you think that high-level equipment must be exchangeable or linked to the character who receives it in The Elder Scrolls Online? A subject that deserves attention! Exchanging equipment, potions and other items between players is the basis of an economy in a MMORPG. While some argue in favor of global exchange, other players believe that high-level equipment should only be available in raid and PvP. But it's like placing the craft at the bottom, in an unattractive position. Previous Elder Scrolls have placed the player's freedom as an essential part of their gameplay. Players who have never played an MMO will quickly find the fact of not being able to exchange any limiting object. However, if everything is exchangeable, there will be players fully equipped too quickly, having obtained their equipment either by a gift made by a friend, or by bartering. People doing raid or PvP for fun will certainly become rich quickly as they will acquire many items they will not need and will be able to sell. It also means that the same raids will not have to be repeated as often as each object will be quickly put into circulation and bought. At this rate, some players may come to the conclusion that they no longer need to raid or PvP. Others will find that killing low-level monsters for money and buying high-level equipment makes more sense. If players can sell high level equipment, they will want to trade their old equipment as soon as they get better. For players buying this old equipment, this reduces the game's progress and allows them to avoid wasting time and content. This is advantageous from a certain point of view. However, since high-level objects will need craftsmen's enchantments to produce the desired effect, most of the items traded will have already been enchanted by their former owners. This means that as time passes, high-level craftsmen will be less and less sought after. The only solution would be that the objects break without the possibility of repair after a certain time. 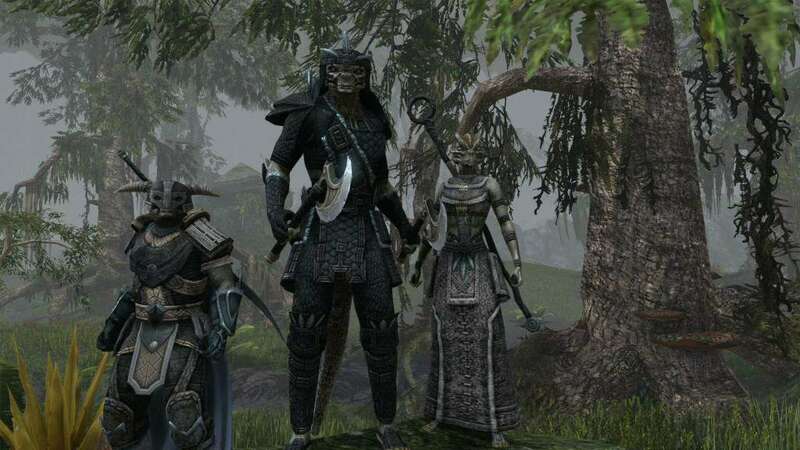 Unlike other MMOs, PvP in TESO has a goal that goes beyond personal progression. The ability to capture territories and thus contribute to the interests of his faction provides a way for players to move forward without obtaining objects as a reward. Could it be possible for adventure zones (raids) to also be linked to factions and give access to new equipment? The mere fact of exchanging equipment with other players of his own faction also contributes to his success in PvP. For the equipment to be truly a sign of accomplishment and prestige, the best equipment must not be exchangeable or very difficult to obtain. This will appeal to other MMO players, but may be a shock for Elder Scrolls fans. However, it is the obvious choice for Zenimax because the objective of an MMO, from an economic point of view, is to keep the players as long as possible. This means to force the players to invest their time to progress in the contents. However, players have advantages with this system, because if the equipment is not exchangeable, when inspecting a player, it does not only indicate what the player wears. It also provides information on the monsters killed, the progress of his raid and his achievements. If PvP rewards players with equipment, it also explains how much he has invested in his faction. The equipment of a player is part of its history, beyond a simple list of statistics.